There are two ways to take afternoon tea in Hong Kong—both revered, both steeped in tradition, but with a different culture and practice. And while one is flourishing, the other is fading. 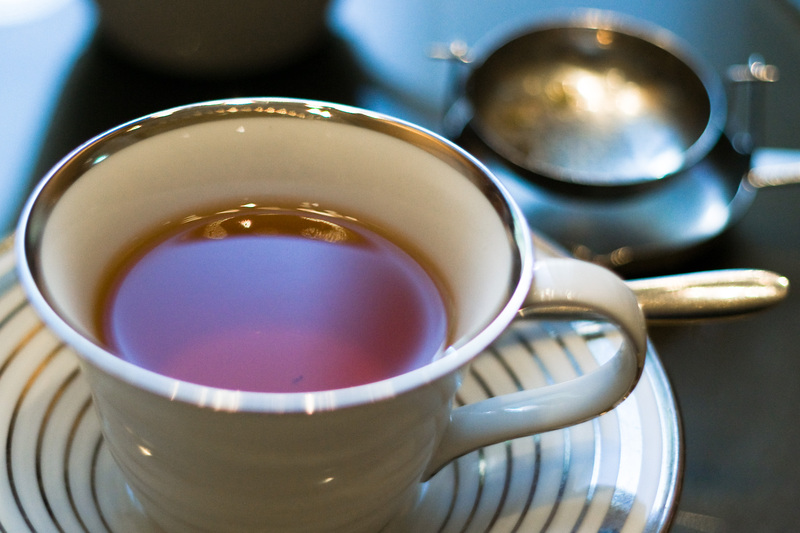 It’s three o’clock in Hong Kong, and that can only mean one thing: tea. The MO Bar at the Landmark Mandarin Oriental is packed. Waiters rush about the room delivering an endless parade of bite-sized morsels. 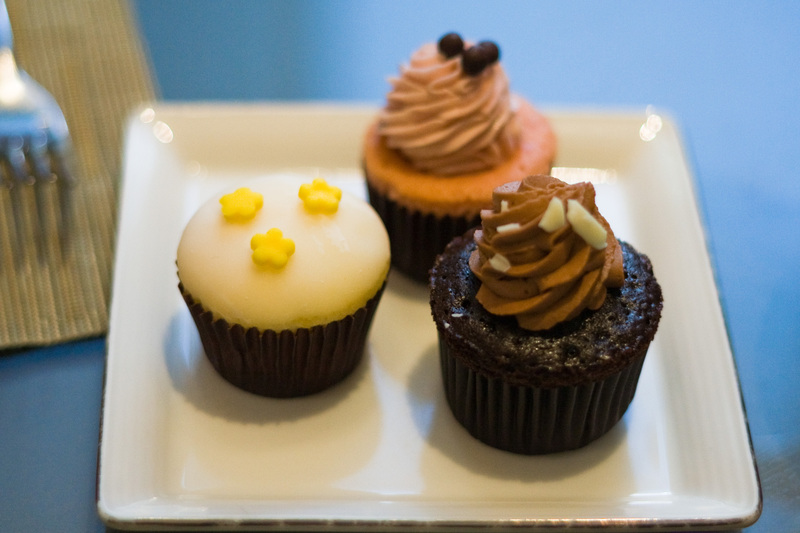 First comes a trio of miniature cupcakes: red velvet, double chocolate and lemon cream. 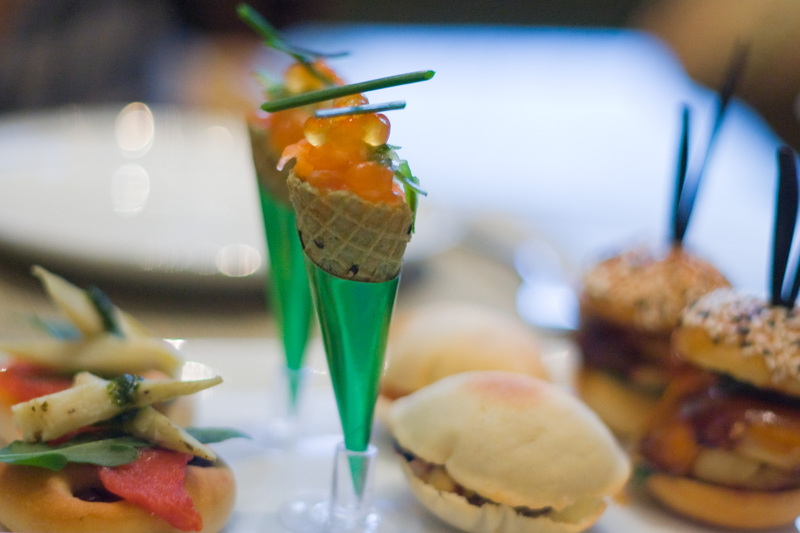 Next come the savory bites: miniature waffle cones are stuffed with scoops of salmon roe, crème fraîche and chives; demitasse cups are filled with egg custard; chicken salad sandwiches are the size of macarons; and teriyaki beef sliders are crowned with diminutive sesame seed buns. 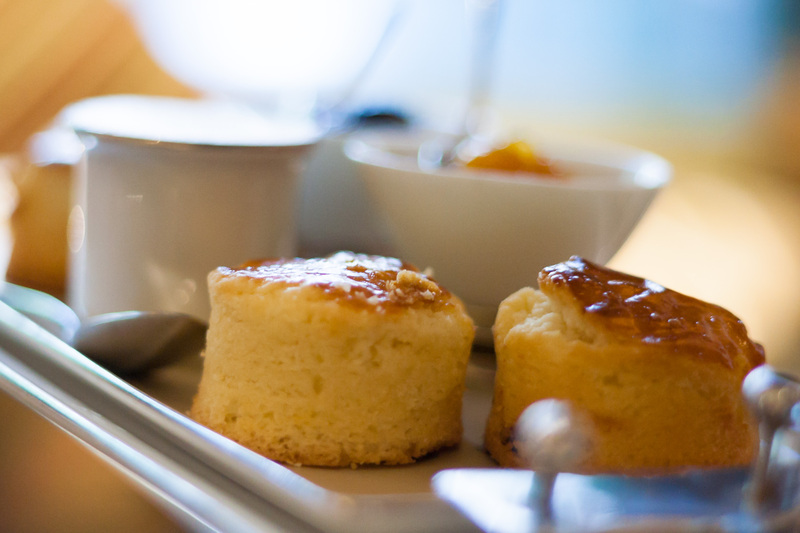 Now come the scones: bite-sized biscuits accompanied with clotted cream and apricot preserves. The jewel-like treats keep piling up: chocolate truffles, walnut fudge, moon pies, rhubarb parfaits, raspberry tarts… pure heaven. I reach for my tea cup and gently pull it toward me. The comforting fragrance of bergamot citrus fills the air—a fine Earl Grey. A splash of milk, a swirl of honey… Ahh, yes, this is tea the way I’ve always understood it. It’s an English convention, of course. And the British influence in Hong Kong has left a lasting impression. 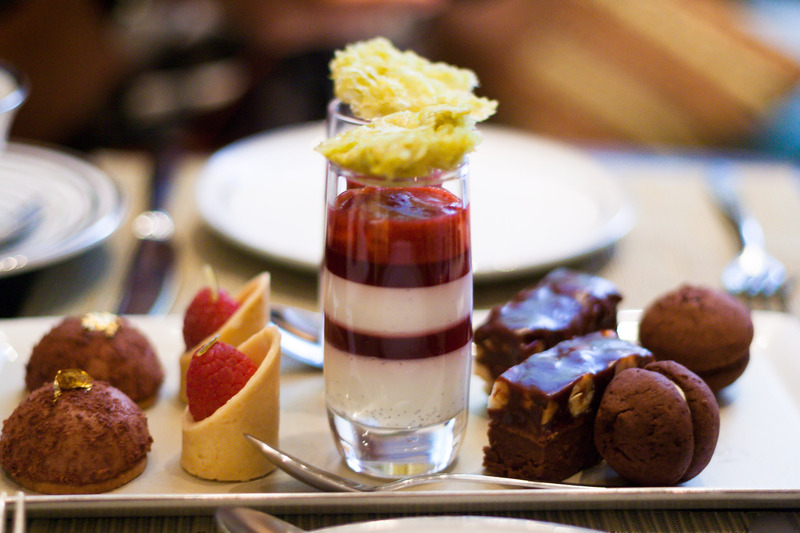 The ritual of afternoon tea has become as ingrained in the Hong Kong way of life as it is in London, maybe even more so. Each day at precisely three, a significant portion of its population pauses for a respite from the chaos of city life. Tea at the Landmark Mandarin Oriental (m15 Queen’s Road Central, Central, Hong Kong; +852.2132.018) isn’t exactly traditional. The music is an energetic lounge mix that one might associate with a nightclub in Ibiza rather than high tea in Hong Kong. The clientele is a fashion-forward crowd made up of creative and media types. Flutes of Veuve Clicquot are almost as popular as tea. A quick glance around the lounge and it becomes immediately clear that for some guests, this is a frequent afternoon ritual. while for others it appears to be a special occasion, a birthday, a wedding announcement, or perhaps a recent promotion at work. Tea in Hong Kong predates the British influence. The tea trade, after all, was one of the things that brought the British empire here in the first place. Tea, served and celebrated the Chinese way, is a world away from the pomp and circumstance of afternoon tea at Mandarin Oriental—but no less steeped in respect and tradition that dates back more than 2,000 years. Sadly, it’s a tradition that appears to be losing ground. Most of Hong Kong’s storied old tea houses have closed in recent years. And that’s not acceptable to Vivian Mak, a Hong Kong artist turned entrepreneur who’s made it her life mission to save this important piece of her cultural heritage. 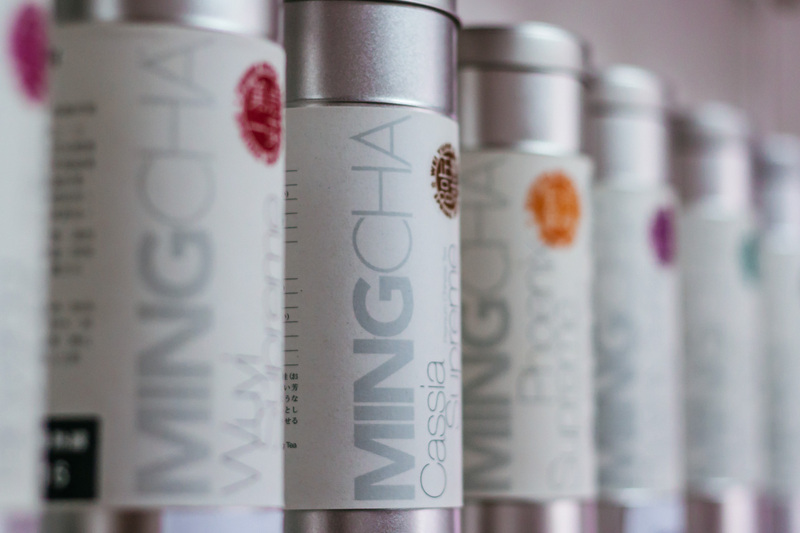 Mak founded MingCha in 1999 (12D Wah Ha Factory Building, 8 Shipyard Lane; +852.25202116), setting out to find the finest teas in China, and she’s been evangelizing the joys of oolong, silver needles and jasmine pearls ever since. The preservation of Hong Kong’s tea culture is a philosophy supported by Mandarin Oriental: Mak’s MingCha teas are retailed at the organic gormet store ThreeSixty in The Landmark shopping center adjacent to the hotel, and she recently joined forces with chef Richard Ekkebus to present a special tea dinner at The Landmark Mandarin Oriental’s Michelin-starred Amber restaurant. In the same way a devoted sommelier might spend years traveling through Bordeaux, Tuscany or Napa hunting down little-known wines from out-of-the-way vineyards, personally getting to know the winemakers and grape growers, so too does Mak scrutinize China’s vast universe of tea fields, getting to know the independent farmers who grow and harvest their teas according to centuries-old methods without modern machinery or highly developed commercial networks. Some of these farmers tend to no more than a tiny plot of sharecropped mountainside the size to a single city block. She looks for farmers whose trees might be indigenous to the land on which they grow and whose dedication to the art and craft of planting, picking and fermenting tea is rooted not in economics but in love, lore and antiquity. I continue my exploration, not wanting to admit that I haven’t the slightest inclination as to the differences between leaves from Zhenghe and those from Fuding or Anxi. The concepts of “first flush young hairy buds” or “hand formed pearls, low heat finished” are almost entirely lost on me. I’m a little surprised when the glass isn’t hot to the touch but rather pleasantly warm. Inside, a flower begins to bloom, petal by petal. What starts out as a tightly wound sphere the size of a wild plum gently comes to life, gradually unveiling what looks like a hundred petals in gorgeous shades of pink, purple, white, blue, green… “Everyone just loves that one,” Mak says. 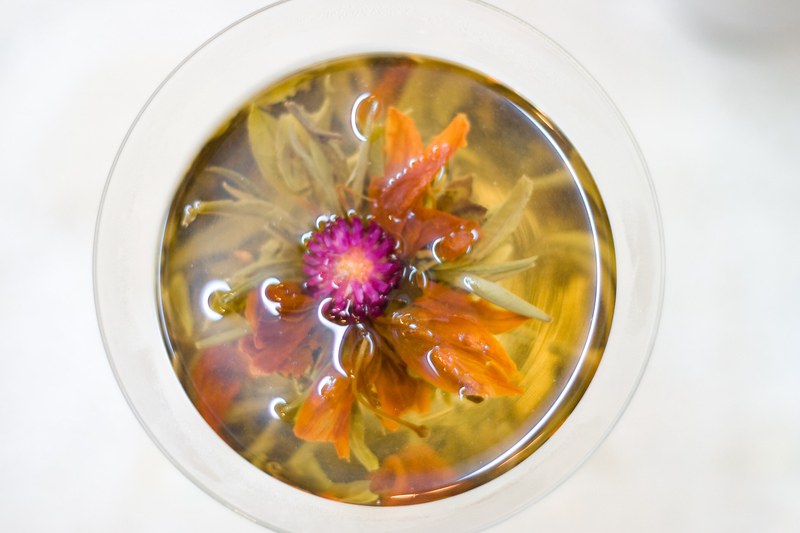 There is a beauty and rhythm to the way Mak handles and brews tea. Obviously experienced but also incredibly meticulous, she measures the loose leaves into her palm, a perfect three grams, then places them in the pot. She pauses to take the temperature of the water in the kettle before pouring it over the each batch of leaves. 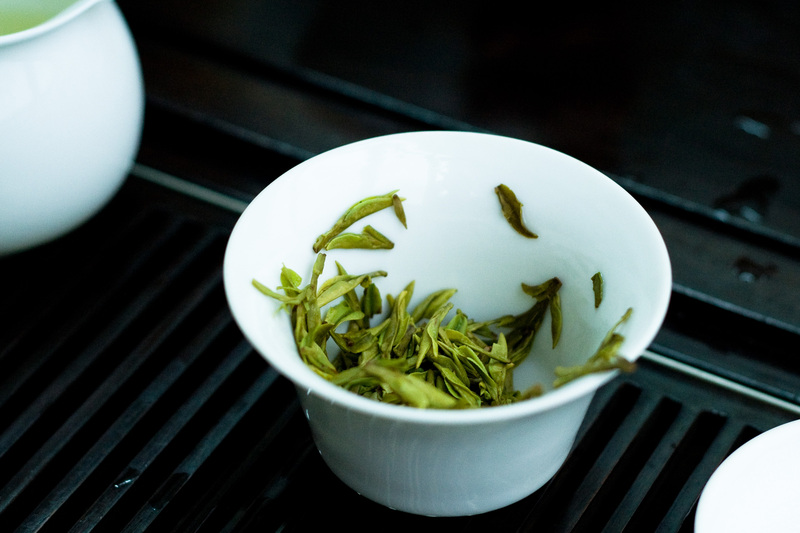 We’re now drinking green tea—a first-flush, single-day harvest Longjin—out of traditional Chinese cups that hold nor more than three sips at a time—the idea being that every sip can be enjoyed at the absolute perfect temperature and strength. “Oh, I almost forgot,” Mak says, pulling out her camera. She scrolls through the photos and stops on a picture of her on a steep Mountainside near Hang Zhou, standing in the tea bushes with her arm around the old woman farmer who raised, harvested and fried the tea we’re now drinking. The tea in everyone’s cup should always be exactly the same color, too, though it is brewed not really by sight but by smell. Mak introduces yet another tea, and after letting it brew for about 40 seconds, she lifts the lid and brings it to her nose. A few more seconds, she decides. This tea is very special, and expensive. It’s an oolong that Mak is especially proud of. “It’s so rare to find this tea,” she says. It comes from an even smaller plot of land than the mountainside photo she just showed me. Like a fine wine, this one, too, carries a vintage: April 2011, the spring harvest from the tree’s second and third leaves, which look like thick black eyelashes, the result of partially fermenting for 8-10 hours followed by three rounds of hand kneading and twisting. 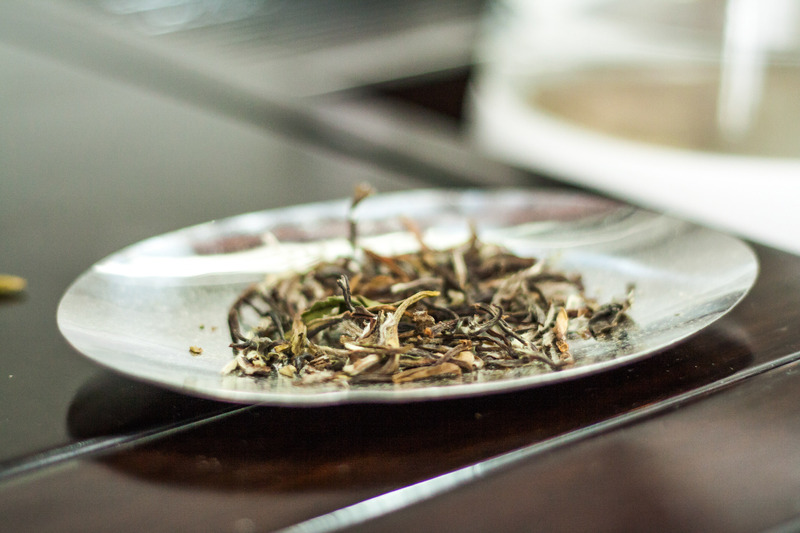 The tea is smoky and intense, leaving a slight charcoal finish in the mouth. “Men usually love this one,” she says. Indeed. 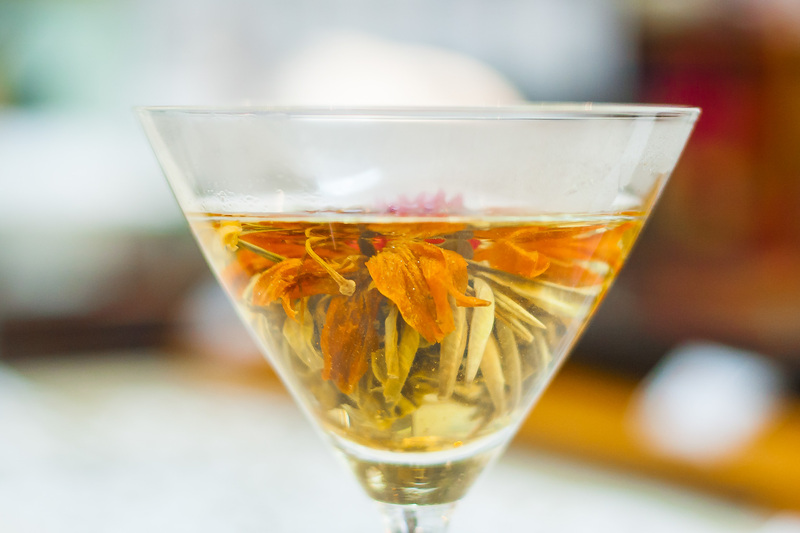 There is no honey, no milk, no extravagance in Chinese tea. Nor is the focus ever placed on food the way it is in English fashion. A few wonderful snacks are available at MingCha, including a beautiful yellow gelée flavored with osmanthus flowers (which also make delicious tea). The idea behind the Chinese tradition of serving tea is to admire and appreciate the tea itself, to contemplate tea in its purest form while enjoying the communion with friends and family. It’s a delicious clash of tradition, this exotic juxtaposition of culture and history. And it’s what makes Hong Kong the most fascinating place in the world to drink tea. The British model is grand and excessive, an unapologetic excuse to celebrate life’s luxuries. 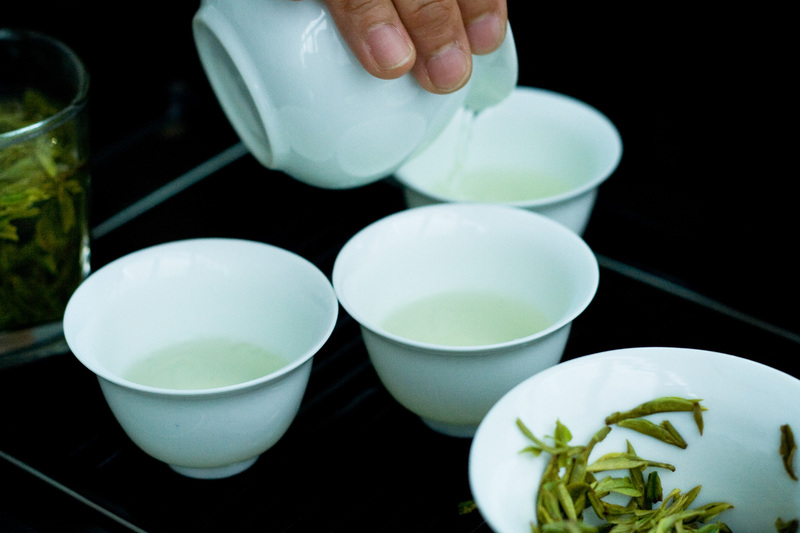 Chinese tea, on the other hand, is stripped raw, never diluted with such princely luxuries as milk and sugar. It is contemplative and reverential. Two worlds so intricately entwined, yet so far apart—separated by tea for mere hours at a time. A version of this article originally appeared in Issue 16 of Mandarin Oriental’s Destination MO, Autumn 2011. For more travel inspiration and photos, I invite you to follow me and join the conversation on Facebook, Instagram and Twitter.